Black Dawn: Part 5 of 6 - Written by Peter J. Tomasi and Patrick Gleason. Art by Doug Mahnke and Jaime Mendoza. Cover by Ryan Sook. he Man of Steel faces the one foe he refuses to fight-his son. 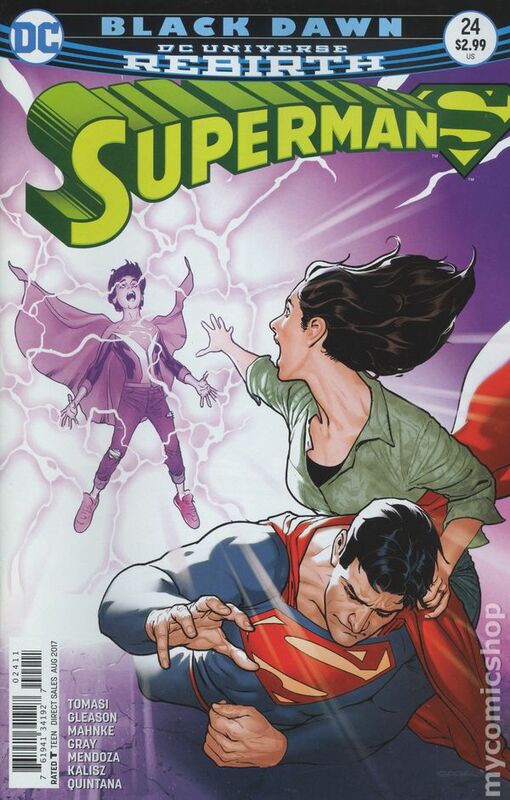 An emerging new ability for Superboy proves deadly to Superman as the promise of power appears to lead Jon Kent to betray his father. 32 pages, full color. Rated T Cover price $2.99.